Kristen Remling earned her A.A. Degree in Business Management from Indian River Community College, now known as Indian River State College in 2004 and earned a dual Bachelor’s Degree in Business Management and Marketing from Florida Atlantic University in 2005. In 2007 – 2008, Ms. Remling attended the University of Florida’s Correspondence Study Program for the Legal Assistant/Paralegal. During college she worked for the law firm of Graves, Hill & Colton, P.A. and continued working there until May 2014. Since May 2014, she has been employed by A. Julia Graves of the Law Office of A. Julia Graves, P.A. Her area of focus is family law. 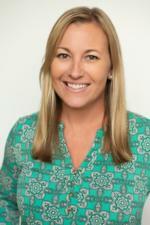 Kristen has been a Florida Registered Paralegal with the Florida Bar since 2008. She has been the President of the Paralegal Association of Florida, Inc. Treasure Coast Chapter from 2012 to the present. She enjoys running, crafting, and spending time with her family. 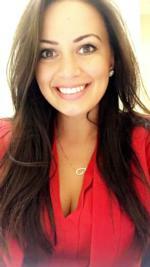 Christina S. Guarino is the First Vice President of the Paralegal Association of Florida, Treasure Coast Chapter. She has been employed by Troy B. Hafner of the law firm Gould Cooksey Fennell, P.A., since 2007 focusing on estate planning, trust and estate administration, and taxation. Christina obtained her Bachelor’s Degree in Paralegal Studies from the University of Central Florida in Orlando in 2004. In 2008, she became a Florida Registered Paralegal with the Florida Bar. 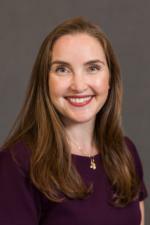 She worked for Marchena and Graham, P.A., from 2004 to 2007 focusing on county and local government law, and business and commercial litigation. Christina has served on the board of the Paralegal Association of Florida Treasure Coast since 2011. 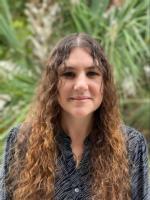 Rebecca Schenker is a Florida Registered Paralegal with more than 10 years of legal experience primarily in the fields of civil litigation, estate and tax planning, probate, corporate transactional matters and preparation of gift tax returns. She worked for Gould Cooksey Fennell, PLLC in Vero Beach, Florida for many years and has recently moved over to The Chesnutt Law Firm. Becca received her Associate's Degree in Paralegal Studies from Indian River State College in 2008. She has been a Florida Registered Paralegal since 2014. She has volunteered with Relay for Life - American Cancer Society since 2010. Becca and her husband Michael have a son and live in Vero Beach, Florida. Her hobbies include shopping, swimming and spending time with family and friends. Alexandra Radu is Romanian born and educated with a degree in law when she decided to move to the United States in the pursuit of the American dream. Alexandra graduated with a Law Degree with an emphasis in Civil and Criminal Law from a very well-known Law School in Bucharest, Romania, and she also has earned a Paralegal Certificate from the Florida Gulf Coast University in Fort Myers. She is committed to Vero Beach, working at Hill Law, P.A., in the Family Law department. 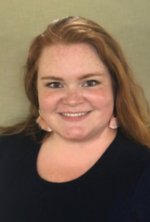 Alexandra’s skill set includes marketing and being actively involved in the community; she is a Board Member with the Junior League of Indian River and a Member of the Lawyers Auxiliary, since they now accept paralegal members. Her hobbies are travelling, being outdoorsy, boating, playing tennis and also walking the beach with her fiancé and their adorable pup, Jasper. 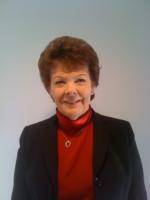 Priscilla Horn Warren, CP, FRP, is a nationally certified and Florida registered paralegal. She obtained her paralegal certificate from the University of Miami in Coral Gables and achieved her Certified Paralegal status from NALA in 1992. She has worked with several personal injury law firms in South Florida and the Treasure Coast and has over 25 years of paralegal experience in personal injury litigation. In March 2008 she became a Florida Registered Paralegal with the Florida Bar, and has been the paralegal representative with The Florida Bar's Solo and Small Firm Section since 1995. In June 2018, Ms. Warren was appointed as the Affiliates Outreach Committee Chair with The Florida Bar's SSF Section. Priscilla has been an active Treasure Coast Chapter member since 2007 and is past president of the Dade Association of Legal Assistants, and past president of the PAF Brevard County paralegal chapter. In May 2005 she established and currently is the Managing Member of Pocket Paralegal, LLC, located in Vero Beach, specializing in the preparation of pre-suit demand packages for plaintiff's attorneys. Priscilla is also an avid snow skier and scuba diver and has traveled extensively with the snow-ski clubs of Miami, Space Coast, and Vero Beach since the 1990s. She is a past president of the Romance Writers of America chapter in Melbourne and enjoys completing crossword and jigsaw puzzles in her spare time. Jodee L. Buck is a certified paralegal with more than 12 years of legal experience primarily in the fields of Real Estate, Civil Litigation, Corporate, and Government law. She has worked for the past 9+ years at Dill, Evans & Associates in Sebastian, Florida. Jodee received her AA degree from Keiser University in 2004 and completed her paralegal certification with the National Association of Legal Assistants (NALA) and is a member of NALA. Recently, Keiser University featured Jodee in a testimonial commercial for their institution. In 2006 Jodee also completed the requirements to become a Florida Certified Paralegal as well as a Florida Registered Paralegal, and is a member of the General Practice Solo and Small firm Section of the Florida Bar. Currently, she is the Immediate President of the Paralegal Association of Florida, Inc., and remains a member of the Treasure Coast Chapter. She has devoted many years supporting the United Way and March of Dimes. Jodee has been with her husband since 1997, and they have a beautiful daughter and reside in Vero Beach, Florida. She also has a Boston Terrier, and a Russian Blue cat, a Rex Otter Rabbit, hamsters and a squirrel. Jodee’s hobbies include dancing, reading, and spending time with family and friends.